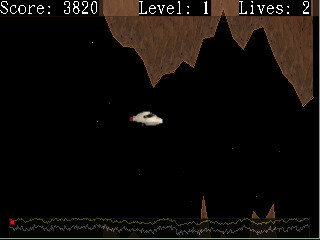 Afterburner is a 320x240 dodging cliffs game. Lloyd Summers, one of our founders, originally created this as one of his first handheld games. It was created for the GP2X-Wiz (a Linux handheld console). Handheld download here. Just unzip and run the Afterburner.exe. May or may not work, ymmv. It is really old.